There are a lot of photographers out there nowadays. Everyone who has a smartphone is effectively a photographer. Whilst this is true, you wouldn't walk out on the street, find the next person passing by and ask them to take some photos for your business or of your event. At least I hope you wouldn't. When you're trying to find the right professional photographer for you, you will come across plenty of people who will offer to do it for you. There will be a wide selection of photographers, ranging from cheap and cheerful to reassuringly expensive. As with many things in life, the least expensive option may seem attractive, but paying more will (most of the time) get you a better quality result. Paying a little more gives you peace of mind, knowing that the end result will be of the quality you are looking for. Here are a few reasons why I will not always be the cheapest option, but a choice you can rely on. By professional equipment, I do not mean I have borrowed my uncle's enthusiast digital SLR camera and a couple of lenses. I work with Canon professional equipment. I work with a Canon 5D Mark IV and I always have a backup Canon 5D Mark IV in my bag at all times. In fact, at events, I will have both cameras on me at all times, and another backup camera in my kit bag. These cameras are the latest available from Canon and I update my camera bodies every couple of years to ensure I am taking photos with the best possible kit. I work primarily with top of the range fixed focal length lenses to allow me to shoot in low light situations without flash. Using flash in many situations can be a distraction and it is often my aim not to be noticed. I have a plethora of lighting equipment to use when additional lighting is necessary and I love using additional light to craft images. I take great care when working on location, but you can never be too safe, so for peace of mind, I have £2 million worth of public liability insurance. To this day I haven't needed to call upon it, and I hope I will never have to, but it is there to protect my clients should something happen whilst on a shoot. 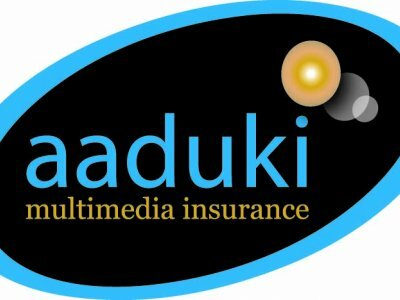 My insurance is with Aaduki Multimedia Insurance, one of the UK's premier photography industry insurers. I am a member of the Society of International Commercial & Industrial Photographers, an association of photographers who are recognised worldwide as professionals. This may seem like a given, but having worked in advertising and marketing agencies as a strategy planner for six years before turning my hand to photography as a career, I know what it takes to work with all types of people. I love working in a team, and welcome ideas from my clients when on a shoot together. You need to be able to trust your photographer. When you ask how long it will be before you see images following a shoot, you want to hear that it won't be long. But you also want to know that you will receive the images when you were promised them. No excuses, no delays, just great work delivered on time. That's what you get when working with me.